It needs a lot of time to choose between the ample lots of headphones that are available in the market.These Best Audiophile Headphonesare the most recommended by the audiences for theirdurability and performance. Headphones have become a necessity in our lives these days as they are able to create an oasis of privacy even in public. Headphones provide you with absolute control over your audio-milieu, allowing you to enjoy your private space in between hundreds of people. This is an important progress for opaque office atmospheres and also for people who keeps on doing some monotonous work. The headphones also represent nothing less than the basic transfer in humans’ indispensable relationship to music. Music is the constant companion for everyone and headphones are the source of that constant companion. Music enchants you with a feel, emotion, and a story through the lyrics that are regularly assisted with instruments playing in the background. Thus it is necessary for you to appreciate every bit of the music along with its lyrics and instruments. So you must own a headphone that will enable you to enjoy every bit of the music. So, without wasting any time, let’s get to this super impressive list ofAudiophile Headphones for 2019, and I am sure, if you love listening to music, you will find the next best headphones right here and also have a look at some Comfortable Headphones. Focal Elegia Open Back Headphones is the widely sold headphones in the market. 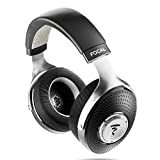 If you want to switch to the best sound quality over-ear headphones, you must order the Focal Elegia Open Back over Ear High Fidelity Circumaural Headphones that are available both on the retail market and also on the online platform. Focal is a great headphones that have open-back. They are manufactured by Focal in France. The models are inspired by the using the latest technology and acoustic study that have successfully gone into designing Elegia, which is their flagship headphones. You can opt them as they offer outstanding performance. The mechanical design of this model ensures incredibly smooth and flawless style as it has the solid aluminum yoke. They also characterized by a memory foam ear pads for utmost comfort and provides an indispensable quality for long listening sessions. They also feature elite speaker drivers with aluminum or magnesium M-shaped domes which enable Elegia to present noticeably realistic sound.You got to be inspired by the sound of a high-fidelity that the system provides with a pair of Elear headphones so that you can enjoy your favorite music for hours with pleasure. So if you are looking for the best audiophile headphones buy Focal Elegia Open Back over Ear High Fidelity Circumaural Headphones. Sennheiser is now introducing the latest model of Sennheiser HD 700 Headphone which is a unique product for the great sound that it offers. In the recent years, this is the negligible extra wide band good sound headphones in a vibrant ear canal phones. It provides complete distortion free sound and good performances even at a high sound pressure level are the two best qualities that it provides. Though there are several other brands with an enormous variety of products yet this model cannot be overlooked as it carries a reputed brand name and has a high potential to produce some brilliant performance. The audience has rated this as thebest budget audiophile headphonesin the recent years. With the Sennheiser HD 700, your quest for definitive stereo music gets a new acoustic chamber as it has mastership of acoustic properties with the widest frequency range available. The designers of Sennheiser pulled out all the blockages to create surpassing headphones which recreate and restore your excitement for music. It provides an angled transducer that mimics the positioning of a set of reference monitors. The tandem with the duofol diaphragm offers a wide sound stage with mega-fast response and rest times. The acoustic team of Sennheiser by venting the magnet lying behind the diaphragm properly managed the airflow and minimized the overall turbulence. This has enabled the purity in the headphone. The outer transducer chassis of Sennheiser hd-700 is considered as a component of shared acoustic duty. The team by utilizing a sphere steel mesh molded to the natural shape of the acoustic while letting the open-aired system pure and properly directing airflow. So if you want to buy the best audiophile headphones under $500, you must buy Sennheiser hd-700. The 21st century had witnessed a lot of progression in both music and technology. Headphones are the best examples of improved technology. Several options are available in the market when you search for thebest headphones under $400. But Bose QuietComfort 35 Wireless Headphones are the most recommended option when you search for the best headphones. Some people need their headphones at almost all the point of time; while traveling or working and even while they are about to sleep. 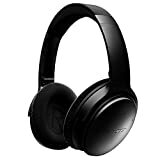 For them Bose QuietComfort 35 Wireless Headphones are thebest audiophile wireless headphones. These headphones are widely sold both on the conventional and the online platform and are the favorite of the audience. They provide a very high performance and have a high tenure capacity. Among all the otheraudiophile headphonesthat are available in the market, Bose QuietComfort 35 Wireless Headphones are the best. This model is unmatchable with any other product not just for having a very reputed brand name but alsoprovides the best audiophile bluetooth headphones. Active noise canceling:Bose is identical with excellent noise-cancelling headphones, and the QuietComfort 35 model upholds the trend. The difference is that this model is the company’s first active noise-cancelling headphones alongside the QuietControl 30 which feature wireless capabilities. It also provides Bluetooth advantages. Posh Look:The Bose headphones boast about their looks a lot. This model has minor trim and color difference from Bose QuietComfort 25s. These headphones are designed to hold on to the authentic touch that they provide. The outer shell of the ear cups is metallic whereas the frame and headband are a thick plastic. They are covered with attractive faux-leather that manages to stay quite unruffled. Power back:The model provides a reliable battery backup of about 20 hours. The 2.5mm jack is provided so that there is no connection error with the devices. It also has a hard carry case and airplane adapter. If you are looking for the best headphone for yourself or your loved ones, don’t think twice before choosing Bose Quiet Comfort 35 Wireless Headphones. Nothing can be more blissful than some pure music at your leisure time. Beyerdynamic Amiron home the best audiophile headphones is a product for some pure musical enjoyment. Just sit back in your recliner and let the sound of music carry you away. 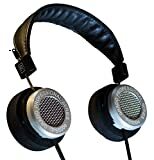 Beyerdynamic is the most rated and a trustworthy product among the consumers. It is said to be the biggest musical companion. A product made in Germany is creating a huge demand in the market. The headphone is infused with some latest innovative technology from Germany which will transcend every aspect of listening to music. For an audiophile music is the only constant companion. Amiron headphones give the best support to music in terms of quality. Every note can be distinguished from the others. That much amount of clarity can be identified once you put the headphone and play your favorite song in the loop. To all the music lovers it is needless to say that among the various headphones, Beyerdynamic Amiron Home is the most preferred and recommended one by the experts. The product gives a superior listening experience due to the cutting edge innovative Tesla technology. This diminishes unwanted vibrations to a maximum level and gives a treble resonance. The sound produced by this product is the most appropriate one for a music enthusiast. Great fit to the ears- The headphone is a great fit for the ears. The pads are incredibly soft which gives absolute comfort in listening. For every music enthusiast what matters the most is the sound quality.That becomes the only priority. There are many headphones available, but this product stands out from the rest. Unmatchable sound, noise reduction quality and an affordable rate make this product the best among the consumers. Planning to buy a headphone in the recent time then give a try to Beyerdynamic amiron headphones and enjoy a fine quality sound. In order to experience the ultimate musical journey almost at every place, one needs to have a good quality headphone which will enhance the musical journey. The best sound quality over ear headphones Sennheiser HD650 is now available on the market. The product promises to give a perfect sound quality which will evoke every emotion from within. The product is manufactured in Ireland and is the toughest competitor in the market. The neodymium magnets which are used are extremely optimized and deliver a perfect sound which is distortion free. No external noise can be detected with HD650. Among many best audiophile headphones, this one will create a mark among every music lovers. Apart from the quality of sound, the design of the product is even brilliant. The silver finish exterior is an absolute treat to the eyes. For every music lovers, this product is just perfect from every way. Sennheiser provides commendable driver units in this model. HD650 comes with a 40 mm driver unit which produces a havoc experience of listening. With great sound people also needs comfort to listen to their favorite music. HD650 has been made with a premium quality material that will give the ultimate amount of luxury to a music enthusiast. The padded headband in this model is just perfect for extended usage without any pain. The connectivity of this particular model is very much flexible. It can be connected to various CD players or DVD players and even with laptops and Macintosh. As said earlier that this product gives a very natural quality sound with no noise coming in between. It is always recommended to do a little amount of research work before buying a headphone. There are innumerable options available for good headphones. But in accordance with the choice of the customers and even the music experts, HD 650 is the best that has been launched in the market. Those who are already usingHD 600can give a try to this upgraded model and feel the difference. This model has been made to give you an outstanding experience of enjoying the best music of your choice. It has been designed to make a person feel the ultimate emotions of music. With some great sound technology, MH40 is voted as the best headphone among the music enthusiasts. The quality of the materials in this phone makes the product an outstanding one. People believe that MH40 is an epitome of luxury and is indeed quite true. Regarding looks, this product is vibrant. It is made of pure lambskin leather with stainless steel and aluminum. The entire design makes the product a definite buy. Though there are various audiophile headphone brands available yet it is recommended to try this product for a better experience. Let’s take a quick look on some of its great features. The drivers are of premium quality in this particular headphone. The 45 mm neodymium drivers’ helps in high-performance sound and create a different experience of listening to music. Due to this all genres of music like rock or pop can be heard in its best form. Detail Sound –Sound is the primary element of this product. One can get to hear a complete noise-free pure sound. It is transparent and gives a detailing of every note in music. 3D Soundstage –This product which is considered to be one of the good audiophile headphones is modified with 3D soundstage which will give the customers a feel of a live performance. One can even do calling with this product. The headphone comes with a remote mic which is compatible with every other device like Windows and Macintosh. With a touch of a single button, one can switch between calls and music. To enjoy some beautiful music, it is very important to have a superior quality headphone. MH40 is one of the best-rated products by the experts. With great sounds and various versatile features, this one is a must buy for every music lovers. 16-ohm impedance compliments portable audio devices. Ergonomic, oval-shaped ear adaptors for maximum comfort. Music is the most enchanting sound to the ears. It has got a feel, an emotion and a story to tell through the lyrics and the instruments playing in the background. Some excellent piece of music also needs a great assurance to reach to the ears and evoke your emotions. The latest model ofSennheiser audiophile earbuds IE800is an unmatchable product for the great sound that it offers. In the recent years, this is the smallest extra wide band transducer in a dynamic ear canal phones. Complete distortion free sound and good performance even at a high sound pressure level are the two master qualities that it offers. Though there are various other brands with a huge range of products yet, this particular model cannot be ignored as because it carries a reputed brand name and of course have a high potential to give some brilliant performance. The audience has rated this as thebest audiophile in-ear headphonesin the recent years. The product offers a dynamic linear phase driver which gives an extreme wide bandwidth (XWB). It is very rare to find in other models. The ear adapters are oval shaped and give maximum comfort to the ears. Two high-quality protective meshes one for the ear cushion and another for the cone. This gives a complete protection from dust and other external moisture. The product has also got a dual change absorber. It is a general perception among all the music lovers that Sennheiser gives the best musical tune and nothing can be compared to it. With the introduction of IE800, the brand offered some extra features for its customers. The main priority of the company is to deliver great sound, and indeed the product has been successful in delivering that. With the infusion of latest innovative technology, IE800 is the most popular and preferred product among the customers. If music is your soul companion, then buy an IE800 headphone and attach yourself more with some great music. Life without music is somewhat dull and boring. It is always good to hear a different genre of music to lighten up the mood at various situations. Music is the greatest healer. Gone are the days when a tape recorded use to be the only channel for good music. Now it’s time to plug in your headphone in a little device and enjoy some classic piece one after another. HIFIMAN HE560 is themost demanding headphones in the market. Not only great sound but the exterior design of the product is also marvellous. One can actually crave for the ebony decorated earphones. Advanced sound technology-Thebest over ear headphonesHifiman gives an advanced music technology. It is the leader in planar magnetic headphone technology. Light weight product-This is the USP of this particular product. Headphones are usually heavy, and it becomes difficult to carry it at different places. HIFIMAN HE560 is 30% lighter in compare to the other products. One can carry it comfortably to various places. Good quality ear pads- The product has got good quality ear pads which give an immense comfort while listening to music. Though the market has various other brands to offer, one cannot just ignore HIFIMAN HE560 due to its unbelievable performance. The product gives a complete stage sound with a clear clarity of the song. Complete noise reduction is another important aspect of the product. The product is not meant to use at leisure times but can also be used at various professional recording sessions. Musicians and other audio technicians in the sound department also prefer this particular model for the recording session. So in a nutshell, HIFIMAN is not only a choice of ordinary people listening to music but is also preferred by professional people in the world of music.Any plans to buy a high-quality headphone shortly. This is the right product for you. All that a music lover need is an excellent collection of songs and a premium quality headphone to enrich listening. There are many brands available in the market. All are providing good quality sound but Audio- Technica ATH 700x is someway different from the rest. Good sound, good exterior look, and an affordable rate make it a worth buy for all music lovers. This is thebest sound quality over ear phonesin compare to the rest available in the market. Not only in music but an audiophile should also have an interest in various kinds of headphones available in the market. Audio Technica is right now doing a good business and has been appreciated with lots of positive reviews. It thebest audiophile headphoneswith a good metallic finish. This is very rare to find. A complete closed back Double air damping system for a proper bass reproduction. It offers a great sound with a proper balance of every musical note. The product has got a self-adjusted 3D Wing Support Housing which gives a wonderful listening experience. In any headphone sound is the most important factor. This particular product is known for its outstanding sound quality. In this product, the 3D wing is an interesting feature for the customers. One cannot even feel the presence of the headphone. Audio Technica has the best 3D wing quality. This particular headphone is closed dynamic type headphones which help in cutting down the external noise in every music. There is no such external interference of sound which hampers the music. The market for the headphone is quite booming all over the world, and the competition is massive. Among the various brands which are available this is the most recommended one by many sound experts. As said earlier that the sound system is the most talked about feature in this headphone. Planning to buy a new headphone? Get hold of this product at an affordable range and enjoy your music session. Headphones are the best asset that you can carry along all the time. For music lovers, it is an essential part of existence. Music has a secret healing power, and everyone is attracted to it. There are certain people who cannot do without music and headphones are must for them. It is tough to choose the right headphone as there are several companies that manufacture headphones. AudioQuest headphones are one such headphone that has certain specifications that make it unique. AudioQuest headphones merge refined materials and ground-breaking design to provide dazzling comfort, elegant looks, and naturally stunning sound for elevating exhaustion-free listening. They aim to provide the ultimate satisfaction to your ears when you plug them in. The products are designed in such a way that it minimizes distortion and cause no harm. Performance:The headphones provide a very high performance and are the favorite of the users. They suit your ears just fine and are manufactured in such a way that they do not harm your ears. Quality:NightHawk is the groundwork upon which all AudioQuest headphones are built. They won the multi-award and uses innovative engineering to diminish excess while making the most of performance and value. Innovation:They feature environmental friendly Liquid Wood ear cups, 3D-printed bio-mimetic sound-circulating grille, 50mm bio-cellulose piston drivers to reduce distortion, and a patent-pending suspension system that produces an ideal fit to the listener’s head. They also have the advantage of AudioQuest ‘s original cables legacy; the headphone cable reduces distortion and utilizes the company’s much-admired Solid Perfect-Surface Copper and conductors, Foamed-PE insulation, Carbon-Loaded Noise-Dissipation System. Sustainability:Though there are different other brands with an enormous range of products yet this particular model cannot be ignored as because it carries an apparent brand name and of course have a promising performance showcase skill. Undoubtedly the listeners have rated AudioQuest – Nighthawk Wood Headphones as the great audiophile headphones in the recent years. The product is both easily available and is very cost-effective. You can avail them at any retail market and also on the online platform.So switch from your regular headphones to AudioQuest – Nighthawk Wood Headphones to experience the better sound quality and enjoy the music you listen to. Headphones are the bliss that we receive in our every day’s tight schedule. Headphones are the constant companion, be it on reading or at the office desk or when you are relaxing after a busy day. Headphones help you to stay connected to your most favorite songs and tunes. Choosing the best headphone is an important task, as you need to know which suits you the best. 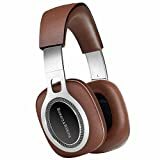 For the bass lovers,Bowers & Wilkins P9 Premium Headphonesis the best option. You will admire the beats for encouraging the bass-boosted headphones on the market. The P9 carry the contemporary styling offering design brogues that provide the look and feel of a luxury device, but without extravagant accompaniments. 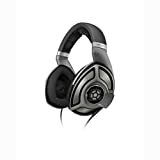 It provides an appealing break from the conventional urban styling that is familiar with other bass-forward headphones. There are certain exciting elements that have been added to enhance both the aesthetic appeal and serious sonic performance when you take a closer look. The matte-finished headband is a stunner in simplicity, with arms that slide effortlessly to fit and buckle inward on strapping axis for better portability. The price range is although higher than the conventional earphones but is worthy of its cost as they have enough longevity and can be handled roughly. There is no question about the comfort and the performance of the model. The P9 are as brilliant and capable in the midrange and treble as any other headphone in their price range. Even when the bass is overwhelming, they provide unambiguous instrumental placement accuracy, especially in the far achieves of the stereo channels. They also provide a rich and textured detail which exposes the multifaceted timbres of instruments like mandolin, electric guitar or likewise. The P9’s dimensional sound system also allows you to enjoy to deep-dive into its many layers so that you can explore each instrumental space.Buy the latest models ofBowers & Wilkins P9 Premium Headphonesto enjoy the best of instrumental music. This is undoubtedly the best way you can enjoy the beats and the pitches of your favorite instruments that are unavailable in all other headphones. The Grado Professional Series PS500e Headphone is hand-crafted at the Grado Labs in New York. It is one of thebest headphonesavailable in the market. The outer ear cup housings of it are made of metal alloy, and the inner sleeves of it are fitted with specially cured mahogany wood. The combination of proprietary materials forms an air chamber which prevents unwanted vibrations so that the sound stays unaffected by any distortion or coloration. Similar to the other Grado headphones, the PS500e headphone has a vented open-air earcup design with big, non-resonant air chambers to create more open, spacious sound and powerful, extended bass response. Its wide frequency range allows you to listen to your music without any disturbances. Another advantage of this headphone is the genuine leather headband that can be adjusted for a custom fit. The highlights of Grado Professional Series PS500e Headphone are as follows. It has an open-back, on-the-ear design and ear cushions which are replaceable. It has vented diaphragms which create an extended bass response and spacious, low-distortion sound. It has 44mm dynamic drivers. Its enclosures are made of metal alloy, and mahogany wood and the air chambers reduce resonances for making a clearer sound. It’s specially made de-stressed diaphragms and an eight-conductor connecting cable improve details and give a more open sound. Its leather headband can be adjusted for a custom fit. Its driver pairs are matched to within 0.05 dB for superior stereo imaging. Its long-crystal copper voice coil wire provides an ultra-high purity in sound. 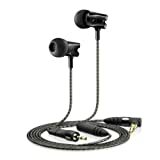 It has an 8-conductor headphone cable with a 1/8″ plug for superior quality sound. It has a 1/4″ plug adapter. An optional 15 feet long Grado headphone extension cable is available for it. Its frequency response is 14-29,000 Hz. Grado Professional Series PS500e Headphone is one of themost recommended audiophile over ear headphones.Few other headphones can produce the life, timbre, tonality and vibrancy of both the sound like this one. If you are someone who likes listening to good music, then Grado Professional Series PS500e is the perfect headphone for you. It would appear that audiophiles have been right all along. 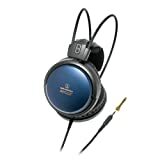 A person can really tell the difference in sound quality when comparing budget headphones to high-end headphones. Although many people balk at the price of these headphones, the fact of the matter is that these headphones really do deliver the best sound quality. When you’re using a pair of these headphones, you truly can hear the peaks and valleys of the music traveling to your ears. And when you first listen to these high-quality headphones for the first time, it’s almost like a religious experience. Of course, just because a pair of headphones has a higher price tag doesn’t mean that it’s going to deliver sound quality that is substantially better than some of the inexpensive headphones available. That’s why it’s important to do the homework and find out what makes these headphones work so well. That way, you can find a pair that suits your style and will deliver the high-quality stereo sound that you expect. Below are some tips to help you with this goal. Like any other type of headphones, audiophile headphones come in different types and construction variations. Musicians performing on stage have a completely different set of requirements than home listeners. That’s why manufacturers have to cater to a wide range of customers and their individual preferences. Over-ear, on-ear, and in-ear headphones, all have open-back and closed-back design variations. Open-back headphones have open backs usually mesh covered. Because of the openings in the headphone casing, open-backs deliver a more immersive and natural sound quality. However, though the open design makes them more deep and natural sounding, they are prone to sound leakages in and out of the headphone. See our best open-back headphones. Closed-back headphones are headphones with a closed earcup design, which keeps sound from leaking from the environment into the headphone. Because of the closed back design, they offer good isolation for use in loud and noisy environments. Closed-back headphones are preferred because they tend to have a deeper and better bass response. See our best closed-back headphones. However, in reality, it is made to look that you always get more for a high price tag; better construction, better quality sound, or even luxurious and additional accessories. Though most of the times this is always true, it is not always the case. A good example would be the Beats by Dre headphones, which are overpriced. You can get the same or a better quality headphone for half the price or even less. When it’s absolutely necessary for headphones to deliver the highest sound quality possible, true audiophiles will begin to look for the best audiophile headphones that they can buy. A pair that will not only reproduce their preferred source of music accurately but will deliver all of the depth and richness that can be found in their music. And there are plenty of headphones that can deliver this sound quality. All a person has to do is find them. Unfortunately, it’s not always easy to find the best audiophile headphones available among the hundreds of headphones that are available. We’ve decided to address this problem by finding the best headphones for audiophiles available and ranking them in descending order from number ten to number one. Hopefully, one of these models will deliver the clarity, richness, and depth that true audiophiles demand from their headphones.